This past 4th of July weekend reminds us all what it means to be American, have freedom, independence, free speech, and the right to the pursuit of happiness. It is so powerful that we have the option to create our own bills/initiatives/measures/amendments, gather signatures, get them on the ballot, and make them real laws in our country. We are reminded of all the prisoners and fallen soldiers of cannabis prohibition who have suffered, some are still in jail even in states where cannabis laws have changed since they were charged. It is thanks to those trail blazers before us that we now have the opportunity to legally make money in the hemp and cannabis industries with many product & market options to choose from. 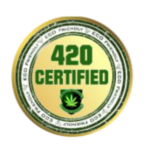 One can even choose to ask for help from industry experts through sources like 420 College’s live two day CannaBusiness seminars to get started in this growing industry with all the proper tools and paperwork you will need to succeed! The “United States” are actually extremely divided on core issues like cannabis and hemp legalization but now 23 states plus Washington DC have hemp and cannabis laws. Seems like many states have come together and agreed on the fact that cannabis prohibition does not make sense for a substance with medicinal value, no hangovers, and no overdoses ever. Hemp prohibition makes even less sense since we used to be required to grow it in America for WWII and should still be benefiting from these cash crops. God bless America! This is a very exciting time to be alive! Many states have legalized medicinal or recreational cannabis as well as industrial hemp which provides the world with everything like paper, textiles, fuel, and healthy food filled with omega fatty acids. Those that are new to the hemp and cannabis plant are just now learning that hemp and cannabis are in fact completely different plants used to make entirely different products. One cannot take the stem of a marijuana plant to try and knit a sweater out of it and one cannot smoke a hemp flower and get high even if one tried as the percentage of THC (the euphoric compound in cannabis) in hemp is below one percent. Hemp and marijuana are just cousin plants. The American government claimed it could not tell the difference between a growing hemp or marijuana plant and that was why it was outlawed along with marijuana at the beginning of cannabis prohibition. In China, industrial hemp is a billion dollar cash crop but they will shoot you for possession of marijuana so they can definitely tell the difference between the two cousin plants. Luckily many laws are changing in American states for both miracle plants as the health benefits and profits for the hemp and cannabis industries are outweighing any reefer madness at this point. Many seasoned cannabis growers are worried that this might mean legal industrial hemp could pollinate their legal cannabis outdoors. Now wouldn’t that be an interesting cross of genetics! Industrial hemp products have been legal to import into the U.S. from other countries for many years but now we can finally start growing right here at home. Check your states laws on industrial hemp and know that there may be some hoops to jump through to obtain viable seeds and more. Federally it is legalized for “research purposes” and soon the Senate should vote to defund DEA raids on legal industrial hemp and cannabis states. The funny thing is that hemp is already one of the most researched plants on the planet with evidence of hemp fabric dating back over 9,000 years! The DEA is currently being sued over confiscation of non-sterile hemp seeds in legalized states. Let our people grow! Create jobs and boundless new products! Once growers are able to get viable hemp seeds and plant them in their legal states there could eventually be a pollination issue with legal cannabis outdoors in states where both plants are legal. There are some solutions to this conundrum! Hemp is an annual crop and has male and female counterparts just like medicinal cannabis. The same process of growing medicinal cannabis should be applied to growing industrial hemp. Weed out the males during the grow process to take away any fear of cross pollination just like you would weed out male seed bearing plants in your cannabis garden for the same reason. If you want to breed industrial hemp then the breeding process would be the same as with medical cannabis. This would need to be regulated to ensure all hemp growers are using the same standard of processes. Breeding hemp outdoors without cross pollinating legal cannabis gardens would require a tightly wrapped plastic bag to be placed over the entire male flower to collect the pollen and avoid any pollen getting caught in the wind. Hemp could also be regulated and zoned to certain designated farming sections of the state where it would have the best chance of survival without disrupting legal cannabis gardens on private properties outdoors. For example, in California, if only a quarter of the land currently used for growing wine grapes was used to grow hemp we would be able to save thousands of trees every year, enrich the surrounding environment, and create more jobs. However there could always be that one male plant that an industrial hemp grower missed or did not pollinate properly in a sealed bag so if you are growing outdoor medical cannabis near an industrial hemp field you might want to consider a greenhouse or switching to indoor growing to be 100% sure your crop will not be cross pollinated. Hopefully, if all other precautions are taken on the hemp growers behalf then industrial hemp and medical & recreational cannabis can in fact coexist in harmony together in their respective legal states. 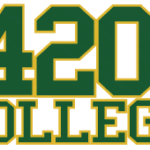 Stay tuned to 420 College for more updates on the latest hemp and cannabis business news and tips!